Despite his father’s hopes of him becoming a medical doctor to escape the scrutiny he had endured in his own career, Dr. Peter D’Adamo pursued his passion as a naturopathic doctor. Naturopathic medicine was already his way of life and he was determined to continue the research his father had initiated on personalized, blood-type based dietary parameters. Dr. D’Adamo credits Bastyr University in Seattle, Washington for the extensive and hands-on naturopathic medical education that led to his success. “I learned how to chase down a concept, how to navigate scientific literature and how to perform my own versions of meta-analysis.” The faculty encouraged his interest in continuing to research the relationship between blood type and diets. 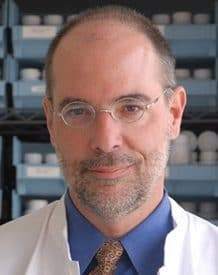 Dr. D’Adamo is a distinguished professor of clinical sciences at the University of Bridgeport School of Naturopathic Medicine (UBSNM) in Bridgeport, CT where he directs the Center of Excellence in Generative Medicine (COE). In addition, he is an adjunct clinical professor for both the Southwest College of Naturopathic Medicine (SCNM) in Tempe AZ, and the National University of Natural Medicine (NUNM) in Portland, OR. His current projects incorporate his love of computer programming and knowledge of genetics and biochemistry. Many of his software tools are used at the COE as part of basic patient care. In his spare time, Dr. D’Adamo enjoys a variety of hobbies including reading about ancient history, medical software, martial arts (Tai Chi and Tang Soo Do), repairing antique clocks, woodworking and cabinetry, sailing and vintage Volkswagen restoration. Furthermore, you need to be a flexible and continuous learner. A successful ND needs to be able to balance the demands of practicing both medicine and business.